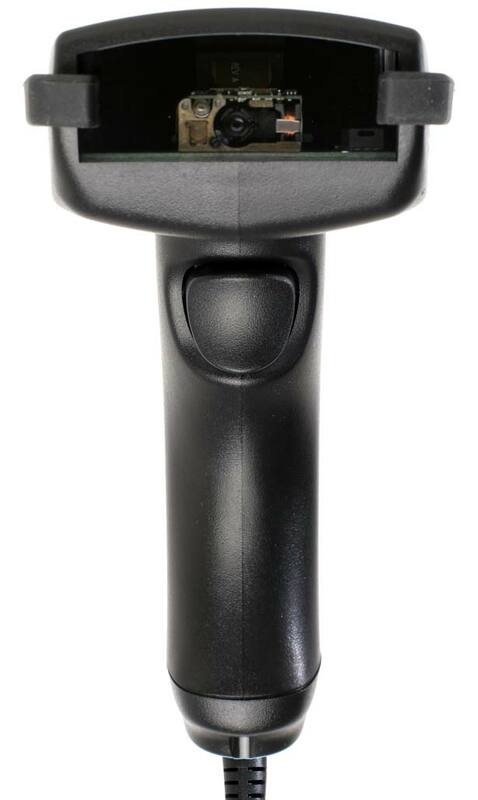 The 530-2D-USB Bar Code Scanner is our latest 2D Bar Code scanner with an updated scan engine and improved high speed bar code decoder for incredible bar code scanning speed and accuracy. The 530-2D Digital Bar Code scanner easily connects as a USB keyboard to any computer running Windows® or macOS. Scanned data is displayed on the computer as keyboard data - transparent to any application you are running. Just scan a bar code and the data will appear wherever your cursor is placed. 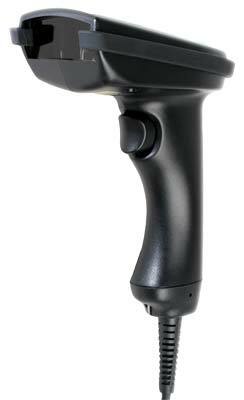 The Worth Data 530-2D USB hand held bar code scanner utilizes an all new advanced imaging scan engine for instant bar code scanning. 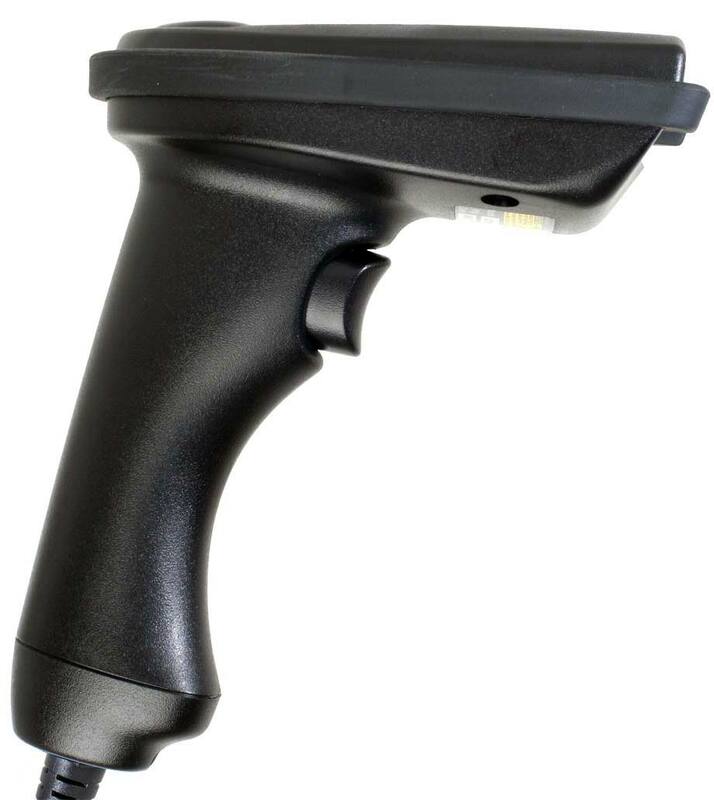 This scanner is much faster and more accurate than our previous models and is perfect for reading 2D Matrix bar codes like QR code, Data Matrix, PDF4117, and Maxicode - in addition it will also read standard 1D bar codes like UPC, GS1, Code 128, and Code 39 among many others. The improved optics and high speed bar code decoder allow the scanner to easily read poorly printed, or even damaged codes, instantly. This scanner has an omnidirectional scan engine — simply point and shoot! No matter how the bar code is oriented, the 530-2D provides a quick and accurate read. 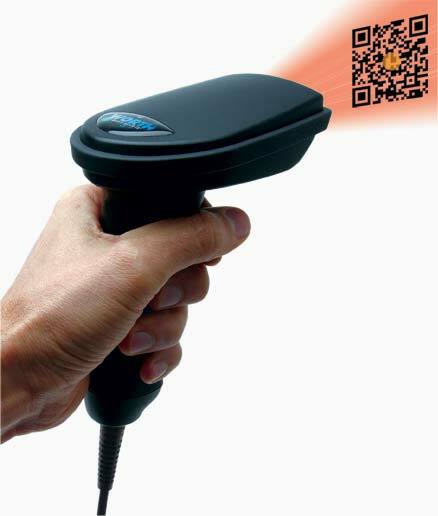 The scanner has a red LED illumination flood pattern beam for scanning along with an LED aiming spot that helps to locate the bar code in the best location for faster scanning. There is no need to position the label in perfect alignment to scan a bar code. Just place the aiming spot inside the bar code as shown and it will scan — the bar code can be on a curved surface, sideways, or even upside down, it doesn't matter. The high speed imager and powerful CPU processes the scans at a very high rate until a "good read" or decode occurs - making bar code reading instantaneous. Data is then transmitted to the computer as though it has been keyed in, so it will work with any software. We design and assemble these scanners in our California facility enabling us to provide the highest quality and best performing scanners on the market. They are designed to survive in tough industrial environments and feature our exclusive ergonomic & lightweight polycarbonate/ABS rugged gun housing with a protective silicone rubber bumper surrounding the gun head for added durability and additional shock absorbing protection. They are engineered to withstand multiple 5 foot drops to concrete. In addition, they have a durable acrylic scratch resistant optical scan window that is recessed to prevent scratches and damage insuring long term scanning performance. 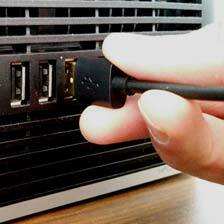 Finally, the USB cable is engineered to withstand over a million bends before failure. 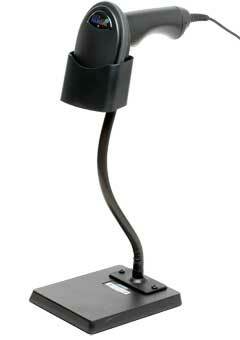 You can use these scanners with our optional hands free stands for presentation scanning of items. This works perfectly for check out stations like libraries, tool desks, and other locations where you just pass the item under the scanner to read without the need to pick up the scanner. You can also easily remove the scan gun from the stand, when needed, to scan larger items that won't fit under the stand. These stands come in two versions: The S21 Stand (pictured on the right) offers a weighted base that holds the scan gun wherever you place it, and the S11 Stand which is designed to be screwed down to a workstation, table, counter top, or even wall mounted. Both models feature an adjustable metal gooseneck so that you can place the scanner in the perfect location for your scan needs. Standard 1D bar code types supported include UPC/EAN, UCC-EAN 128, Code 39, Full ASCII Code 39, TriOptic Code 39, Code 32, Code 128, Codabar, MSI, Code 11, GS1 DataBar, Composite, ITF Interleaved 2 of 5, DTF Discrete 2 of 5, Bookland EAN, Code 93, S-Code. 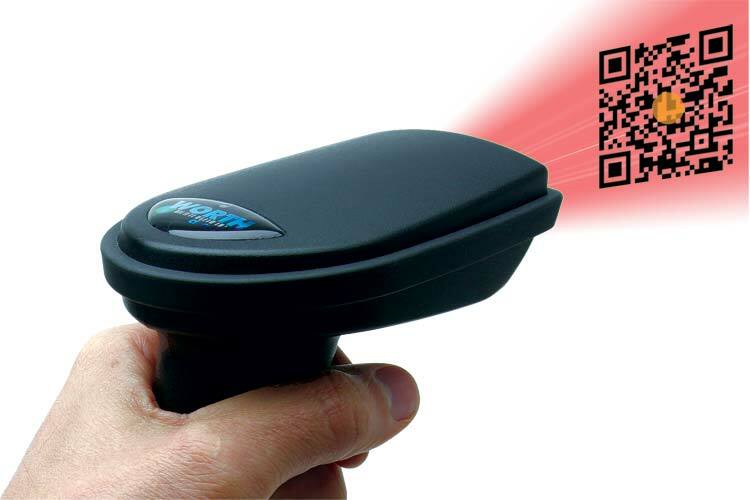 The 530-2D reader also provides scanning of 2D bar codes such as PDF417, MicroPDF417, Maxi Code, DataMatrix (ECC 2000), Composite Codes, Aztec, Aztec Runes, QR Code, and MicroQR Code, DOD IUID codes (DataMatrix), as well as Postal Codes; USPS Intelligent Mail Bar Code & Postnet codes. Scan bar codes on LCD & LED Displays, including from smart phones, laptops, monitors, or tablets for concert tickets, coupons, sales, customer tracking, library checkout and more! The 530-2D Scanner is also great for scanning and validating DOD Military Standard Labels like MIL-STD-129 & MIL-STD-130 Labels, IUID labels, or Automotive labels like GM 1724 labels for proper readability before shipment. 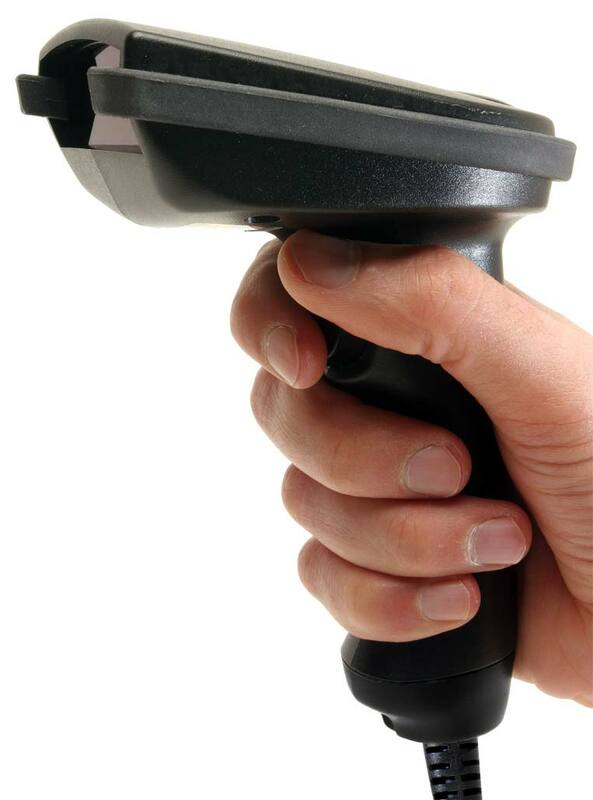 These scanners are built to last and are designed to provide accurate instant scanning today, tomorrow, and for years to come - all from a company that has been in the bar code business for over 30 years!